All eyes will be on Queensland this year, with the Commonwealth Games coming to various locations across the Sunshine State. The action will be centered around the Gold Coast. Sporting events are also planned for Brisbane, Townsville and Cairns. For visitors, this will be an exciting opportunity to see some of the best sights in Australia, while watching world-class athletes compete in the Games. For both visitors and locals, there is some important road and public transport information to know before travelling. VroomVroomVroom has put together a guide to help you navigate the 2018 Commonwealth Games. It will be busy on the Gold Coast during the Commonwealth Games, but that doesn't mean you can't hire a car and explore some of the sights. Driving is the easiest way to reach a lot of the Gold Coast's surrounding attractions. If you are a ticket holder, you can take advantage of the temporary Park n' Ride's that will be set up across the Gold Coast. These are provided at no cost to ticket holders, however they will need to be pre-booked. Locations like Beenleigh High and Varsity Lakes will service all venues, with smaller Park n' Ride's also servicing selected venues. If it's your first time driving in the Gold Coast, or Brisbane, VroomVroomVroom has put together guides to help you with driving tips and car rental advice. Be mindful that changes to central parking is likely in these locations. Guide to the Gold Coast in a rental car. Guide to Brisbane in a rental car. A Games Route network will be set up to transport athletes and relevant vehicles to events. Temporary road closures and traffic control measures may be in place. This route involves major roads like the Pacific Motorway and the Gold Coast Highway. Designated Games Lanes will not apply in Cairns and Townsville. Unauthorized vehicles will be fined for using these lanes. In Brisbane, the following roads will be affected by their allocation to the Games Route Network. The Logan Motorway, Gateway Motorway, Mount Gravatt-Capalaba Road, Tilley Road, Old Cleveland Road. A temporary Park n' Ride facility will be set up at the Sleeman Centre. The speed limits will be reduced on the M1, and the Gateway Merge at Eight Mile Plains. Because of the increase to train services on the Gold Coast, the rest of Southeast Queensland will be running on a more limited schedule. Areas like Surfers Paradise and Broadbeach will be busier, with heightened security. There will be changes to parking. No on-street parking will be permitted on Staghorn Avenue, Peninsula Drive, Watson Esplanade or Cahill Avenue. It's going to be busy on the Gold Coast this year! The action starts at Carrara Stadium on the 4th of April with the Commonwealth Games opening ceremony. Sporting events will be held in different locations across the coast, including volleyball at Coolangatta, boxing at Oxenford Studios and bowling at Broadbeach. Find out some of the best day trips from the Gold Coast. 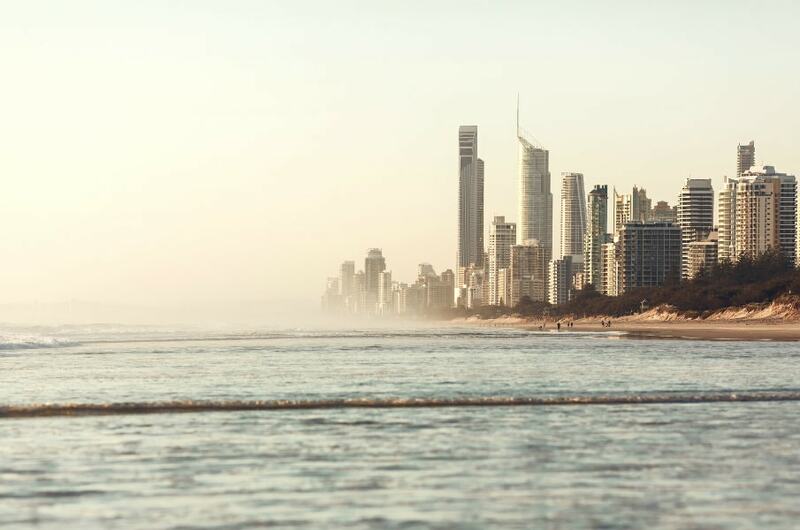 Read more about the Gold Coast's beautiful beaches. Discover the top attractions you can see on a road trip to the Sunshine Coast. Find out why you should take a trip along the Bruce Highway to Cairns. If you're a fan of basketball, you'll need to head to Far North Queensland. Matches will be taking place in Cairns and Townsville. It is the perfect opportunity to visit these fascinating cities on the edge of the Great Barrier Reef. See the best road trips you can take from Cairns. Discover the sights of the Atherton Tablelands. For more information about renting a car in Australia, read our comprehensive guide. You can also find out more about the licence requirements in Australia, or read some local driving tips.